This week we are attending the SXSWedu conference in Austin, TX. This conference is always on the cutting edge of teaching trends, providing relevant and innovative ideas that can transform the education process. It was here, two years ago, that we were inspired by the emergence of new school models, truly innovative models, and started on our journey to design Expedition Academy Santa Cruz. SXSWedu has once again reaffirmed that Expedition Academy Santa Cruz is bringing a more relevant and impactful model of education to our community. We are so happy that you are here joining us! We are having another Open House! 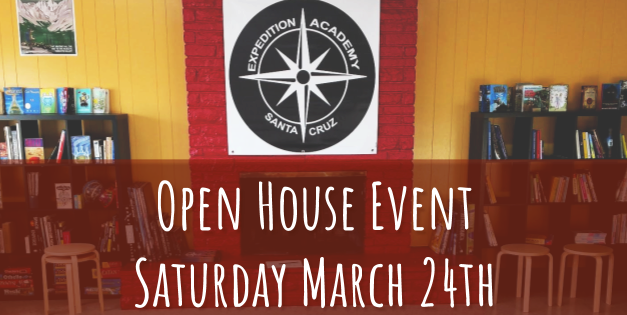 Come get a glimpse of the Expedition Academy Santa Cruz experience! Reserve your space on Eventbrite now, we are looking forward to meeting you. Applications for Fall 2018 are open. We have started to receive applications and will begin scheduling family interviews soon! Find out more about our Audition and Interview process on our website! Beyond Buzzwords: Competency, Culture, & Equity - How Mastery-based learning is transforming education in over 40 public and charter schools in New York city. What If? Unleashing Possbility Thinking in K-12 - When real-world challenges are connected with student-centered learning environments, you unleash creativity and engagement beyond measure. Mindfullness and Student Voice - An overview of how mindfulness practices and benefits are being experienced by a panel of students from the 130 campus Austin School District. 25 Ways to Drive Student Agency Using Goal Setting - An overview of strategies to create learning environments that enable effective goal setting and a “hackathon” that generated creative ideas for implementing goal setting processes. Empathy Machines: Global Education via “Portals” - How repurposed shipping containers are being turned into immersive learning environments and are fostering face-to-face engagement with strangers throughout the world. Personalized Learning and Competency Education Meet Up - Networking session with experts in the field of personalized learning. Mastery-based learning or Competency-based learning is at the center of our learning model at Expedition Academy Santa Cruz. 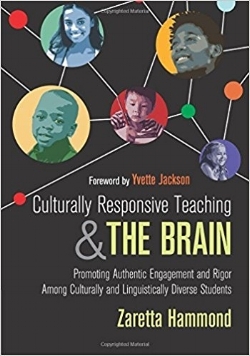 Another term rising in the education landscape is Culturally Responsive Teaching. Bringing in the cultural experiences and languages that students experience everyday, enriches the learning process. Our vision of connecting our community to the learning process and making learning part of where we live and who we are, falls right into line with the current educational trends transforming schools today. Are Microschools the Next Big Thing? Microschools are educational institutions that emphasize interdisciplinary project-based learning, building social skills such as communication and critical thinking, and tailoring instruction to the needs of each individual student. Expedition Academy Santa Cruz is not the first school of its kind. We are part of a growing trend in school development that realizes the value in student-centered learning environments and immersive educational experiences. To say that this conference has amazingly relevant topics, inspiring speakers and connects transformative people in education together, would be too simple a description. We believe that the Expedition Academy Santa Cruz experience is part of the 21st Century evolution of education. We will be sharing our knowledge with others and learning from the greatest change-makers in the world here at SXSWedu. We hope to share our Expedition Academy experience at SXSWedu in the future to show what's possible. Thank you for being here on our journey and please share with others that you know would love to learn more about the changing face of education or who may want to join the Expedition Academy Santa Cruz community. ~ The Expedition Academy Santa Cruz Team!